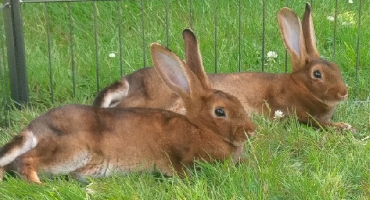 Archie and Pip would like to donate to another bun family a bag of parsley root yummies. It's a new sealed bag from the Hay Experts. I bought two by mistake and because I only give them a couple of teeny pieces every now and then it will take forever for them to eat them. They love them and I'm sure another bun will too. And ah I didn't know they could eat those! Sorry everyone they have already gone. Definitely try them if you haven't given them to your buns before...not sure about helping stop buns escape though. Haha. Hasn't helped with my monsters.